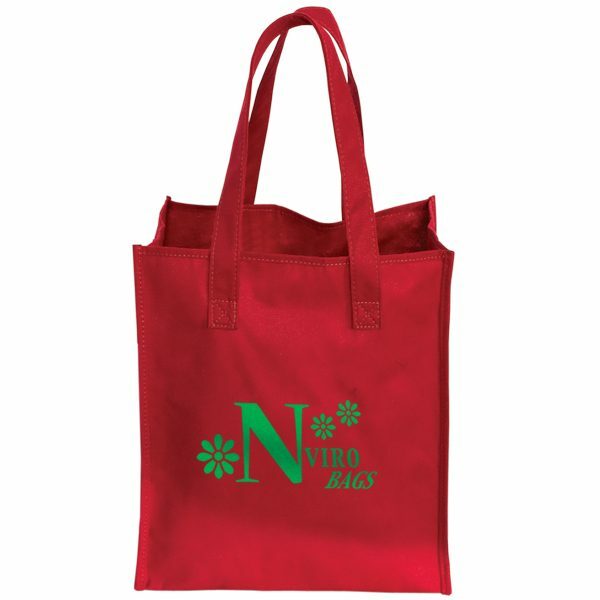 Recycled PET Tote Bag is a 160 gm/M2 22 needle stitch material made from 85% post-consumer recyclable plastic. 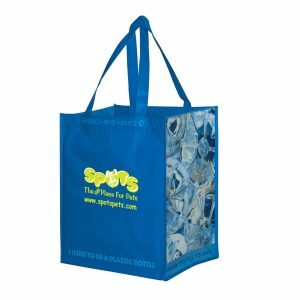 These recycled bags Easily roll up to store when not in use. Great for for groceries, shopping, and the library. 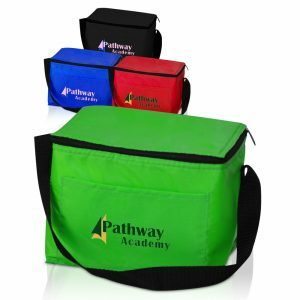 Start your next marketing campaign off right with one of these green bags. See more of our selection of green bags. Give us a call today or request a free quote for immediate pricing. 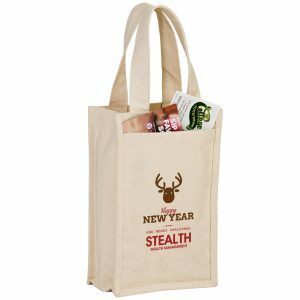 Recycled PET Tote Bag is a 160 gm/M2 22 needle stitch material made from 85% post-consumer recyclable plastic. These recycled bags Easily roll up to store when not in use. Great for for groceries, shopping, and the library. 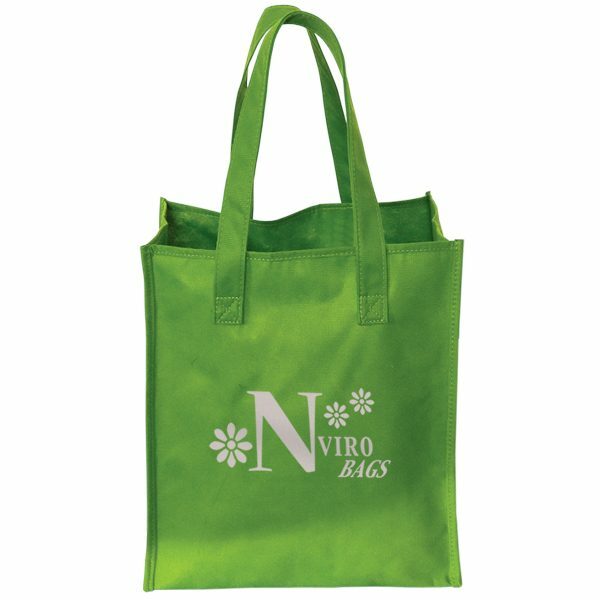 Start your next marketing campaign off right with one of these green bags. See more of our selection of green bags. 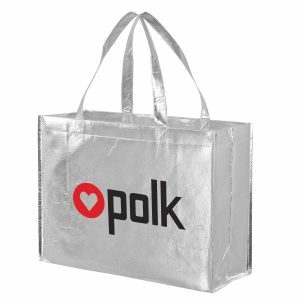 Recycled custom bags are great to imprint with your logo and hand out to potential clients. 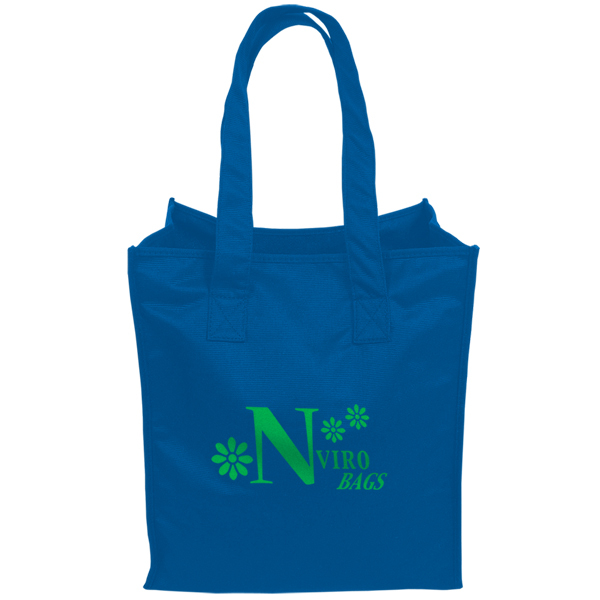 We offer wholesale pricing on all of our tote bags and products. Call us today for pricing on these awesome products. 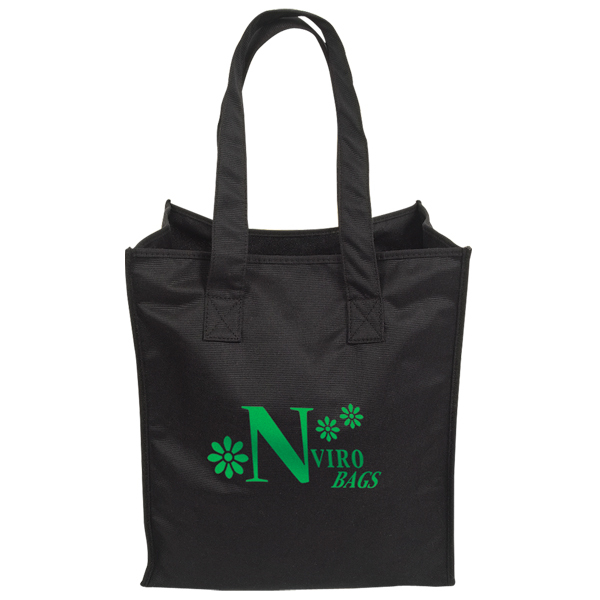 If you are looking to construct an eco bag to meet your exact specifications, you can order through our design center. Call or email us for more details. Take a look at customgreenpromos.com to see all options we have.